Poland’s leading defense group PGZ has signed a deal with the State Space Agency of Ukraine under which the two countries’ defense and space industries will cooperate on new joint projects, including satellite development. 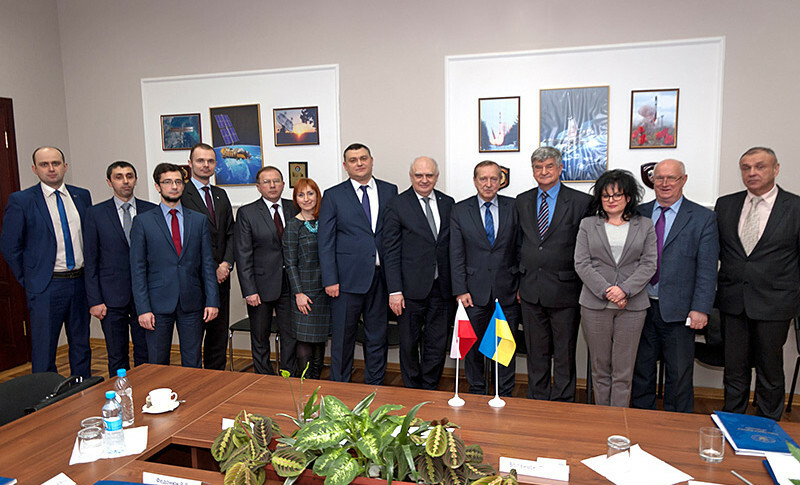 At a Feb. 8 meeting of the joint Polish-Ukrainian working group in the field of space cooperation, held under the auspices of the Ukrainian-Polish Intergovernmental Commission on Economic Cooperation, Oleksandr Golub, the first deputy chairman of the SSAU, said that 2015 was a fruitful year for Ukrainian-Polish space cooperation. Ukraine’s and Poland’s space agencies signed a memorandum of understanding and they intensified bilateral visits by administrators and representatives of business, scientific institutions and industry organizations. Marek Banaszkiewicz, the president of the Polish Space Agency (POLSA), said that the bilateral collaboration is to be focused on rocket and space technology, research, remote sensing, as well as strengthening national security. Based in Radom, in the country’s central part, PGZ was set up in 2013 with the aim of consolidating Poland’s fragmented state-owned defense industry. The group currently consists of more than 60 companies, and is operated by a workforce of some 17,500 employees. PGZ’s total annual revenues are about 5 billion zloty ($1.28 billion). Established in 1992, the Kiev-based State Space Agency of Ukraine oversees Ukraine’s state-owned space companies, including the Makarov Yuzhny Machine Building Plant, Dnipropetrovsk State Design Institute, Soyuz Research and Design Institute, Yangel Yuzhnoye State Design Office, Ukrkosmos, and the Center of Rocket Space Technology Standardization, among others. Until December 2010, the agency operated under the name of the National Space Agency of Ukraine. Poland joined the European Space Agency in 2012, and since then, it has been contributing some $140 million per year in membership fees. In September 2014, the country’s parliament passed a law which established the Polish State Agency with the aim of coordinating the country’s space activities and supporting research and development efforts by local state companies. A good example of mutual complementarity of Intermarium economics.